©TSL. July 2004. Nine years ago this week Canon delivered my first EOS1D MkII. 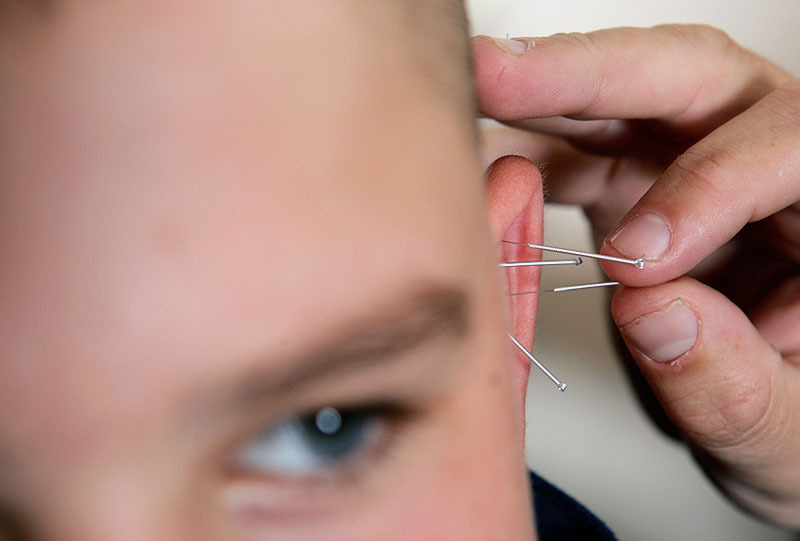 I shot for the first time with it on a job where staff were using acupuncture in a Sussex school to help boys with their behaviour. 18th July 2012: I was working as a member of the Photo Operations team at the London 2012 Olympic and Paralympic games. I have written before about just how exciting, tiring, inspiring and memorable it was but with the first anniversary athletics event about to happen those memories are coming back as strongly as ever. 18th July 2011: I was coming to the end of the very first cycle of the NCTJ Photojournalism course that I help to teach at Up To Speed in Bournemouth whilst shooting a wide range of both editorial and corporate commissions. That was also an exciting time but for very different reasons. 18th July 2010: I was shooting mostly corporate photography and things were starting to go quiet for the summer months. Really quiet as it turned out. 18th July 2008: I was still employed as a staff photographer at TSL and I spent the day shooting a lovely set of pictures at a school in Hertfordshire that had spent a small fortune making their new building and the grounds as environmentally friendly as possible. I was still unaware that two weeks later I’d be called into a meeting with the Editor and the HR Director to be told that they were making me redundant. 18th July 2003: I had been using my Canon ESO1D cameras for over a year and I was in love. The CRW file format was something of a revaluation and I really enjoyed using it. 18th July 1999: http://www.dg28.com had just been born – I started to publish samples of my work and a few bits of technique advice on my own website for the first time. 18th July 1997: I was starting to experiment with borrowed and rented digital cameras before getting my own DCS520 in late October 1998. 18th July 1994: Having become a staff photographer at The Times Supplements in January 1994 I had just swapped from shooting with Nikon F4s to Canon EOS1n cameras. 18th July 1993: Life was fun, fast and decidedly unpredictable. One day I would be shooting for a newspaper and the next it was a glossy magazine. On the third day it might be a PR job and you could lay money down that every week would be different from the last. I was shooting with a mixture of Nikon F4, F801 and FM2 cameras as well as having Leica M6s. Some days it would be black and white and some days it would be colour transparency. Some days I’d be using lights and others required nothing more than a fast lens. 18th July 1983: I was working for Jessops when they only had five shops, offered great deals and great service and everyone knew the Jessop family. I was using Olympus OM1n cameras at the time and had acquired an awesome 35mm f2 Zuiko lens. Today I’m shooting a nice mixture of editorial and corporate work as well as doing some teaching, writing and consultancy. I spend a lot more time on the beach and I’m constantly looking forward to the next exciting development… whatever that turns out to be!